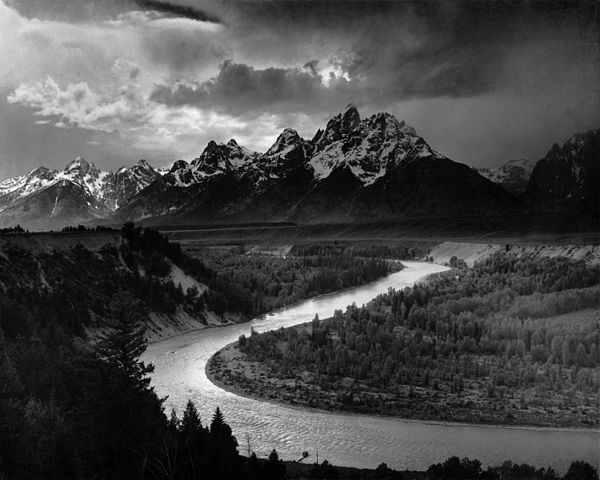 In 1942 Ansel Adams took this picture of the Snake River and the Teton Mountains from an overlook in the Grand Teton National Park. It would become one of his most famous and best-loved images – which is saying A LOT considering his incredible body of work capturing thousands of images in our National Parks. Floating this section of the Snake in my woodenboat would be kinda like floating through history and in my head I could visualize my little boat actually “in” the Ansel Adams image. 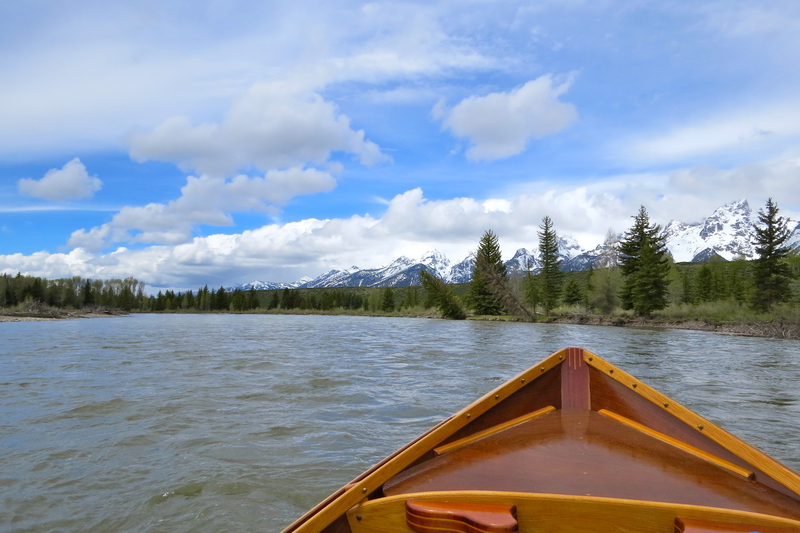 I couldn’t wait to round this graceful turn in the river, hear the water drip from my oar blades between strokes and then suddenly see the peaks of the Grand Tetons looming straight ahead and across my bow as I made the gentle turn. Before I eased my boat into the Snake River at Deadman’s Launch less than a mile upriver from that beautiful bend in the river, I went through my safety checklist over and over and began to focus on the serious task of rowing unfamiliar water.This would be a solo trip and I while I did lots of research on this stretch of river, I had never personally been on it as a rower or a passenger. When boating alone I’m extra cautious – particularly on a stretch of moving water I don’t know and especially with a launch site named “Deadman.” While I couldn’t find information on how it originally got it’s name, there have been a couple of river tragedies just downstream from that launch in the last ten years. 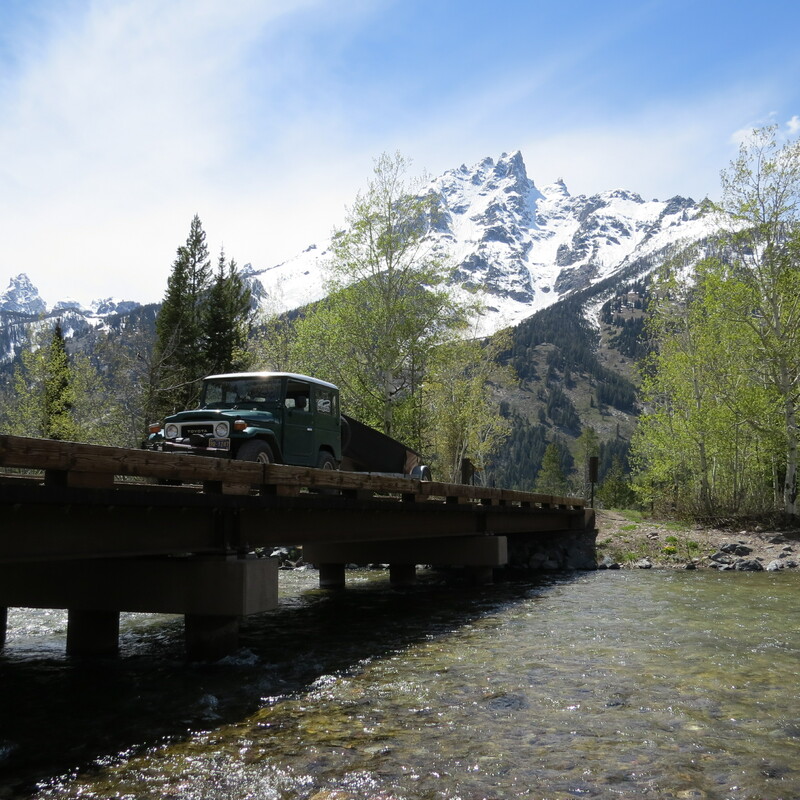 Biggest culprit are big cottonwood trees that fall into the icy swift spring water and block the entire channel – changing river dynamics overnight and creating boat flipping obstacles that even experienced guides have trouble avoiding. 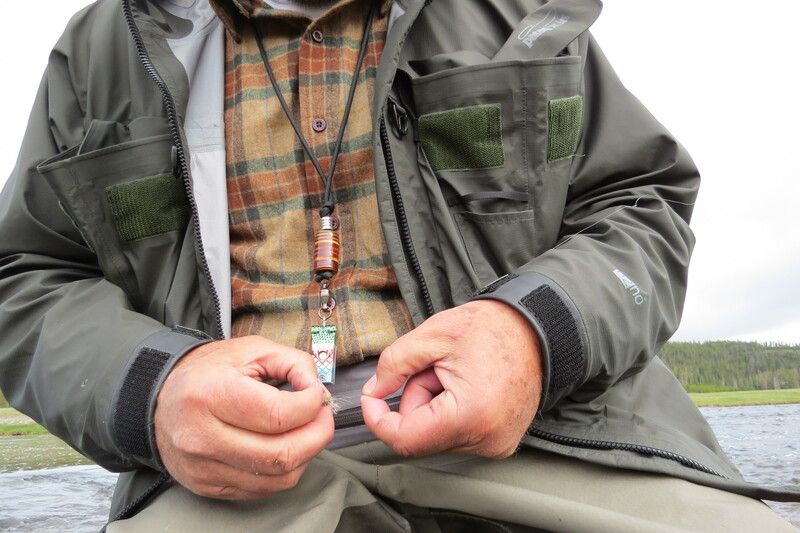 I rowed cautiously all morning and picked the widest, most visible channels for my line. At lunch, I pulled the boat to shore on a particularly scenic bend in the river to take a break and stretch. 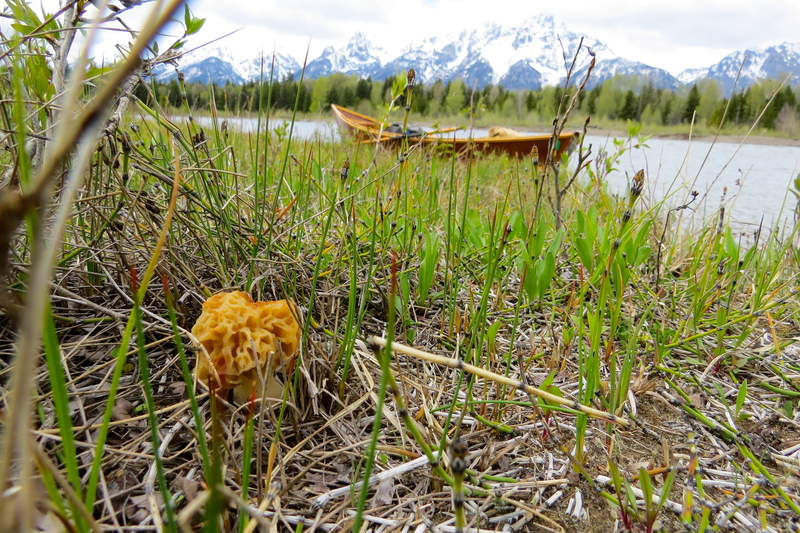 I secured the boat, grabbed my camera and lunch and started walking toward the shade on shore when I looked down and was surprised to see..
a morel mushroom. How perfect is that?? The more I looked the more I found and pretty soon I had a Stetson hatful. 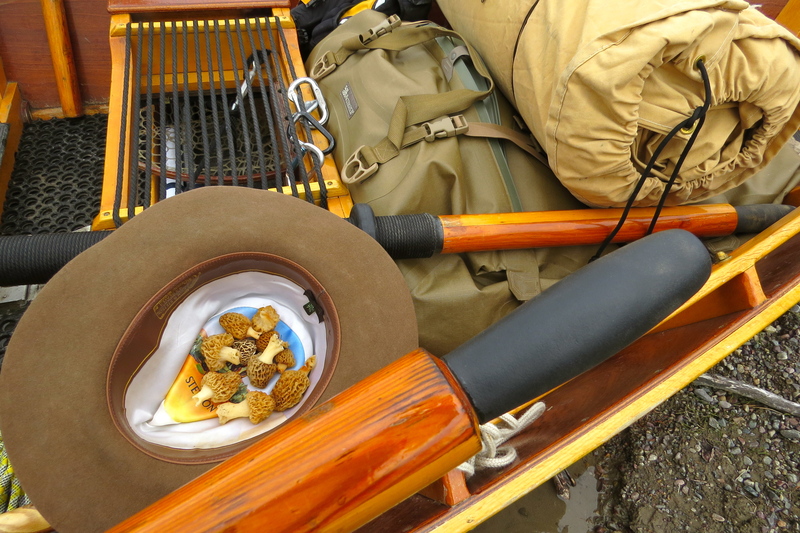 It was hard to tear myself away from this stretch of the river and even harder to stay focused on rowing… the only thing that kept me from turning this into a mushroom hunting trip was daylight management on an unfamiliar river. After lunch, I spent a little time fishing the Snake but the water was bit off-color because of the rain so I didn’t spend much time pursuing trout. The afternoon was an incredible experience. Peaceful river with beautiful scenery and lots of wildlife. Truly one of the prettiest floats I’ve ever rowed in a woodenboat. 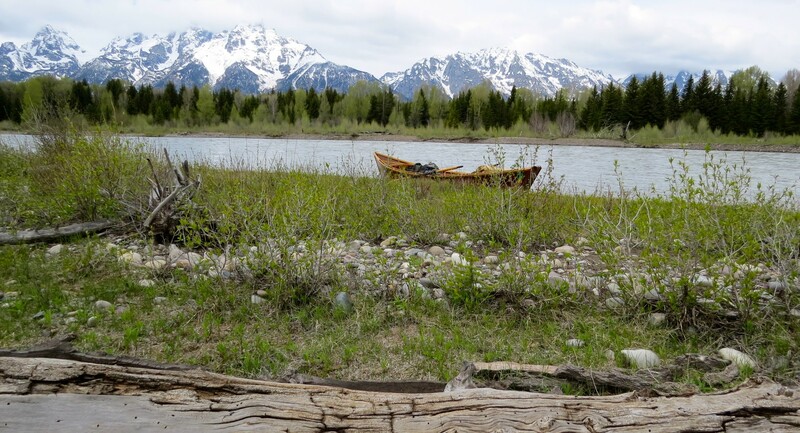 I carefully rowed the boat into Moose landing with plenty of daylight left and then pulled it out of the Snake River with my FJ40 like I’d done thousands of times on hundreds of rivers in the Pacific Northwest. This day was particularly memorable. 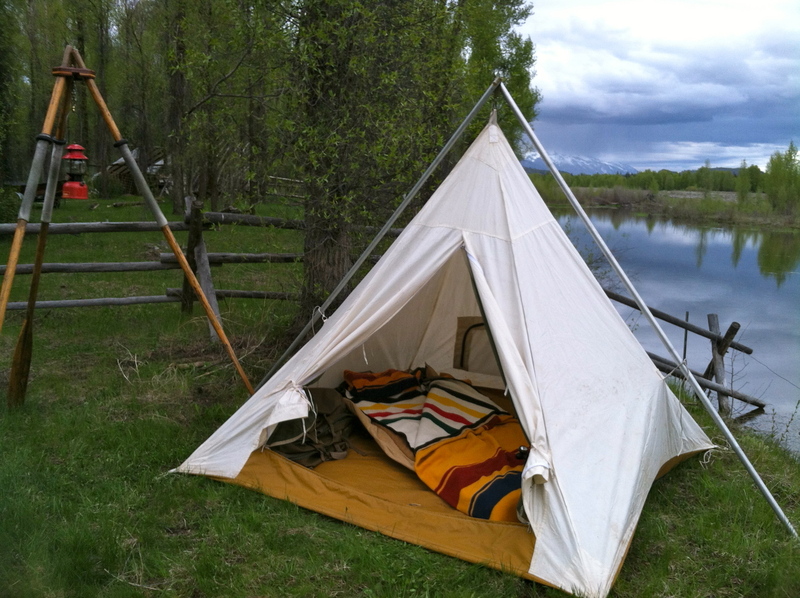 With the Tetons as a backdrop, I headed for the shelter of my tent just downriver. 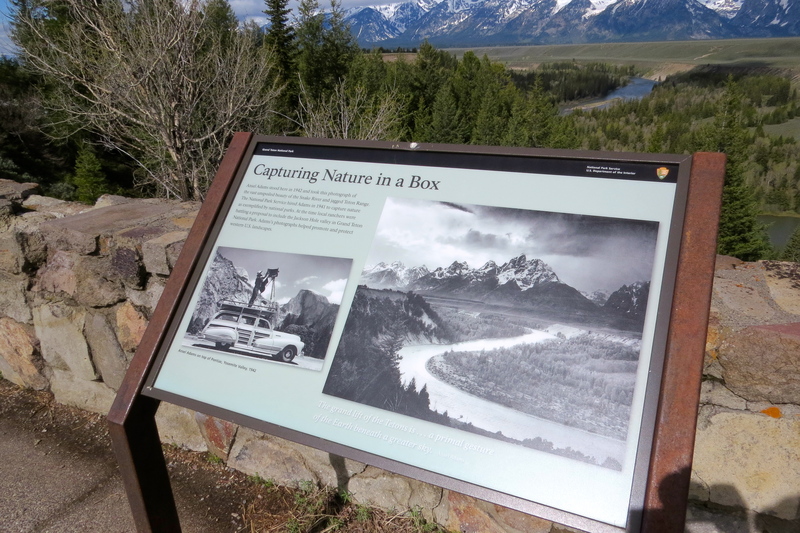 Grand Teton National Park was established in 1929 and is located in the Northwest corner of Wyoming. Spectacular. Makes me feel like i’m there.